Written in the language of the heart, Barbara Becker shares her journey of becoming a healer and teacher of love and compassion. In understanding the lessons of forgiveness in herself and others, she learns we are here on Earth to explore the separation from our magnificent Self. 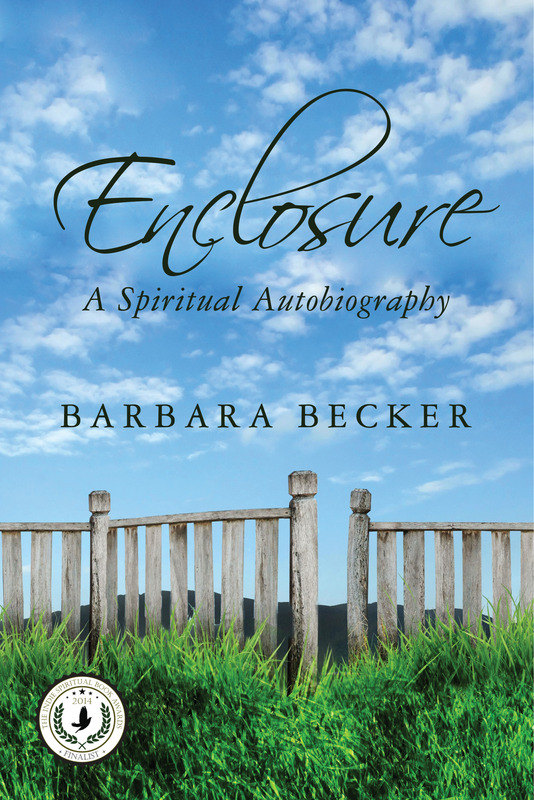 Enclosure- A Spiritual Autobiography reveals through our choices and creations, we protect ourselves from knowing who we truly are. Drawing upon courage and strength within herself, Barbara discovers the magic and beauty of her truth and being. Becker reflects on the wonders of the spiritual world in her autobiography. For Becker, traveling the road to spiritual awakening has taken a lifetime. In what the debut author dubs a “spiritual autobiography,” she compiles the moments of her life that helped her become a healer and teacher. This is by no means a typical memoir if there can be such a thing. Becker does touch on some big moments — her divorce, changing jobs, finding new love — but mundane, everyday life isn’t her concern. It’s her spiritual journey of discovery that she hones in on. She begins with the moment that catalyzed her awakening: a car crash, which led her, for the first time, to access her higher consciousness. Becker entered a world beyond the normal, logical world most people inhabit to contact her guardian angels, become a Reiki master, take up tai chi and become a healer. Skeptics or those who don’t agree with Becker’s worldview may question her stories and beliefs. Becker’s “spiritual autobiography” is definitely not for doubters. But she does offer amazing anecdotes about the spiritual world that will inspire believers and may lead skeptics to reconsider. Becker undergoes jin shin jyutsu healing, a practice of creating harmony between life energy and the body. After her treatments, Becker is finally free of the harsh allergies that plagued her, as well as the emotional residue of her past. Likewise, Becker tells a story about helping her friend heal from a surgery while also helping her heal from past-life injuries. A trip to Peru allows her to banish her fears and anxieties about money. An enthusiastic New-Age autobiography of one woman’s journey to enlightenment.